Local Loans and Development Fund (LLDF) is a statutory body established under the Local Loans and Development Ordinance No.22 of 1916, and amendments have been made by Ordinance No 06 of 1930, 25 of 1931, 43 of 1938, 21 of 1942, Act No.29 of 1949, Law No.09 of 1974 and Act No 24 of 1993. Initially the objective of the fund was to provide loans to any Local Authority, Cooperative society, Government Officer For any public utility purpose. However the Colombo Municipal Council has been excluded under Local Authorities. With the amendment of Law No 09 of 1974 the purposes for loans to be granted have been restricted to local authorities only. The Fund is functioning under the Minister in charge of the subject of the Local Government and the Ministry shall be construed accordingly. The LLDF is managed by a Board of Commissioners (BoC), comprising 07 Chief Secretaries and 02 Provincial Commissioners, 01 Nominated by the Minister of Finance and 03 persons nominated by the Minister in charge of the subject of the Local Government. The Secretary to the Ministry of Local Government shall be the Ex-Officio Chairman. Section three of the Act states that the Commissioners shall constitute a Body corporate and shall have perpetual succession. Although the Legal Provisions are available to run as a separate statutory body the LLDF has functioned as a separate unit of the department of Local Government or the Ministry up to year 1994. Since 1995 only this institute has commenced operations as a statutory body. The prime function of LLDF is to meet the capital investment needs of the Local Authorities namely Municipal Councils, Urban Councils &PradeshiyaSabhas totaling 335 Nos. It provides Long Term loans at a concessionary rates of interest. Local Authorities being a separate body corporate has powers to raise income as provided in the respective Acts. Collection of Rates & taxes, Acreage Tax, Trade Licenses, Water Tax, Maintaining Weekly Fairs & Meat Shops are the main sources of revenue of a Local Authority. Further Stamp duty on sale of Land, Court Fines, are also a major income of the Local Authority. In addition to the above revenue, capital grants are received by them from the central government & the Provincial Councils. While Urban Local Authorities generate more income the rural LAA do not earn a sufficient income for investment in capital work. 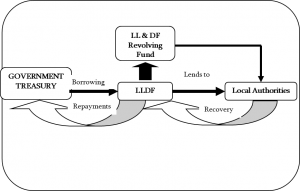 Therefore those LAA will have to make capital investments out of borrowings from lending institutions. However they cannot afford higher interest rate as the income from investments are on long-term basis. To provide long term loan facilities under low interest rates, in order to facilitate the capital investments undertaken by 335 local authorities including 41 Municipal Councils, 23 Urban Councils and 271 Pradesiya Sabas. The Loans given by the General Treasury are lend to LA s as per their requests and recovered total by charged established interest rates. 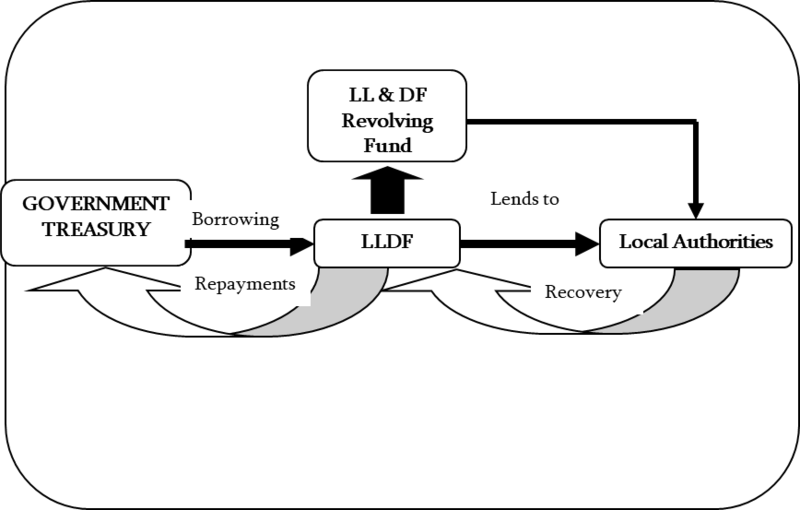 A certain percentage of the interest income earned is retained by LLDF as an income, and it is utilized for granting loans and reinvestments, which further strengthen our own fund. Buildup local authorities to navigate change to maximize returs on investment. Contact us at the LLDF office nearest to you or submit a business inquiry online.